Accessible access is available at the side entrance of the building (go past the main entrance and turn right to use the accessibility ramp and doors). 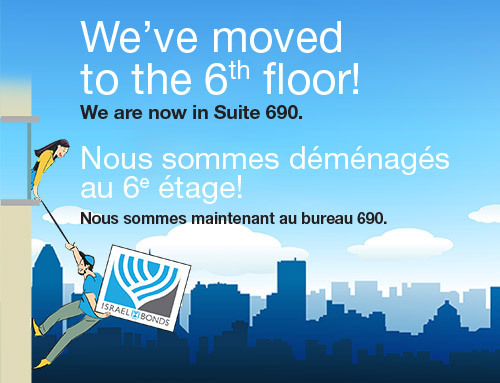 Please note that the Winnipeg Israel Bonds office is temporarily closed. Until further notice, our Calgary office will service all of your Israel Bonds investment inquiries and matters. We thank you for your loyal and trusted business! that the Vancouver office has re-opened!